A place where mysteries are reals and dreams come true. 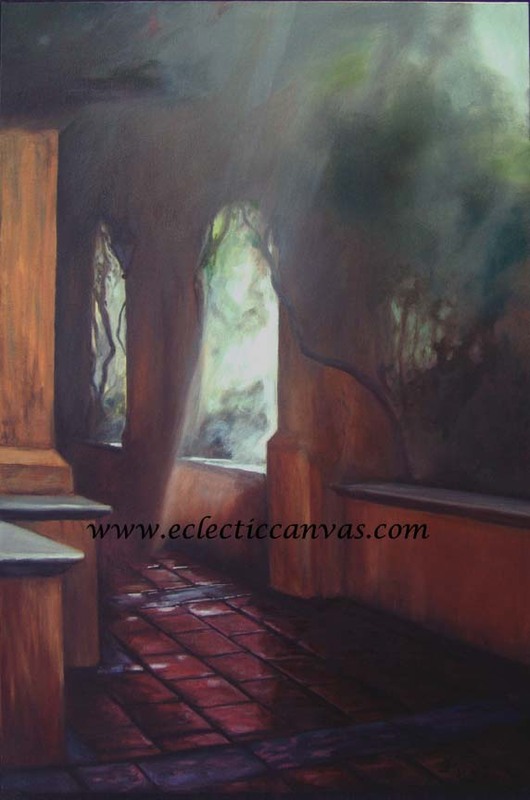 Original painting is 20 X 30, oil on gallery-wrap canvas. The sides are 2 inches wide and painted to match the front. It lies flat when hung and requires no framing. Although the original painting is no longer available,Matted Giclee limited edition prints are available in three standard matted sizes. For process details, matting materials, or custom sizes see our "Prints" page.